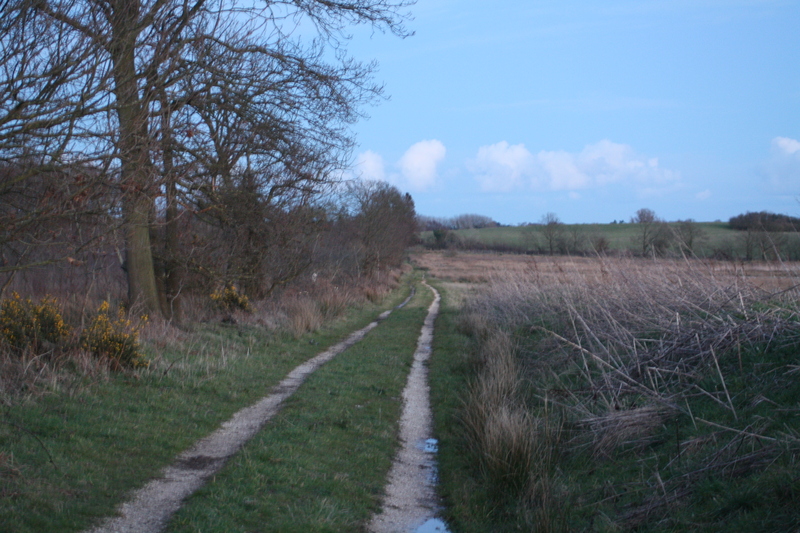 The weather on the evening of Easter Monday was a vast improvement on that of the day itself, so my daughter, Vicky, was able to lead me on the four mile walk around Roydon Common she had been promising me for some time. Being sandy, the Common was reasonably dry, though some of the surrounding land was clearly bearing the weight of some of the day’s heavy rain, courtesy of Storm Katie. Thankfully, the wind too had dropped. 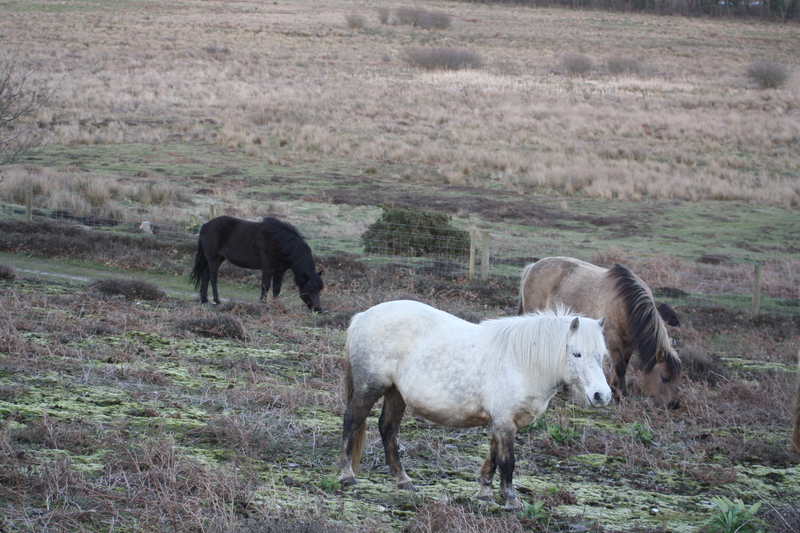 The first creatures we saw were a few of the Dartmoor ponies which graze the Common for the Norfolk Wildlife Trust. The first sound we heard was a short, loud burst of something which reminded me of a wading bird. Further on, at Grimston Warren, Vicky alerted me to some medium-sized black and white birds taking to the skies some distance to our left. Were they oystercatchers? Although I looked through my binoculars, they were too far away for me to attempt a definite verdict. As I watched the two of them fly about I noticed they seemed to have black backs and upper wings. Vicky had spoken several times about the “Clanger” birds she had heard around the Common. Certainly, they didn’t disappoint this evening, for when we later made our way back to the car park in the gathering darkness, we heard a great deal of these “Clanger-type” sounds from amongst the heather! However, it wasn’t until I got home that I really started making connections between black and white birds and the delightful little knitted creatures who live on a far-away planet in a series recently revived for television. Later, I researched the possible identities of these birds. After considering oystercatchers, I started to wonder about lapwings. The latter seem to have the blacker upper wings, at least from a distance. I was pretty certain I’d cottoned on to the right bird when I played the audio clip of lapwing song on the RSPB website and Vicky had absolutely no doubts when she listened to it! A curious Konik pony watches us on Grimston Warren. 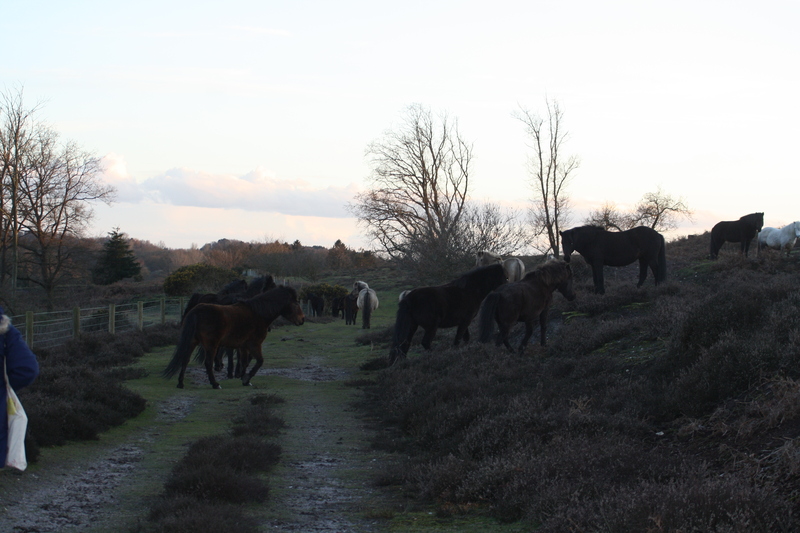 Some of the Konik ponies enjoy the late evening light to forage for their supper. Three Koniks graze on the hill. The Roydon Common walk is one of Vicky’s favourite regular four mile routes and she took me on a slight detour up a hill on the adjoining Grimston Warren to a former World War II observation tower. 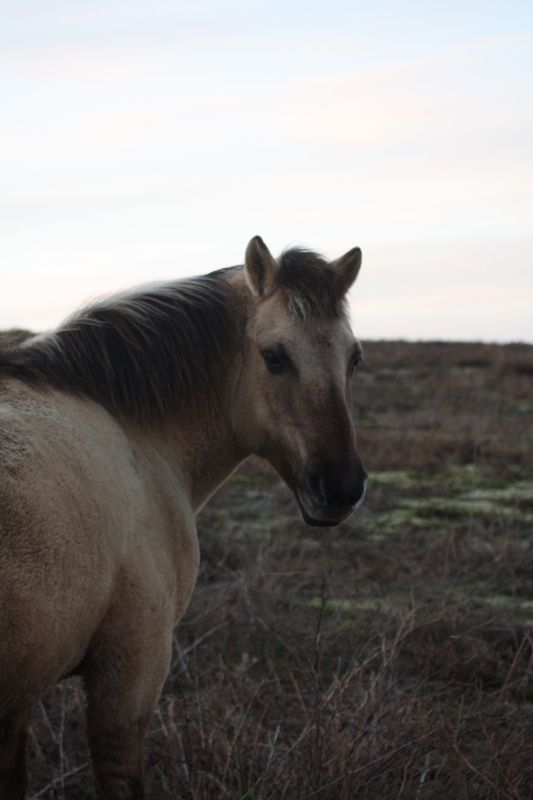 Here we met a large herd of Konik ponies, some of whom regarded us curiously. All around were wonderful views of this wild place with its various types of habitat. 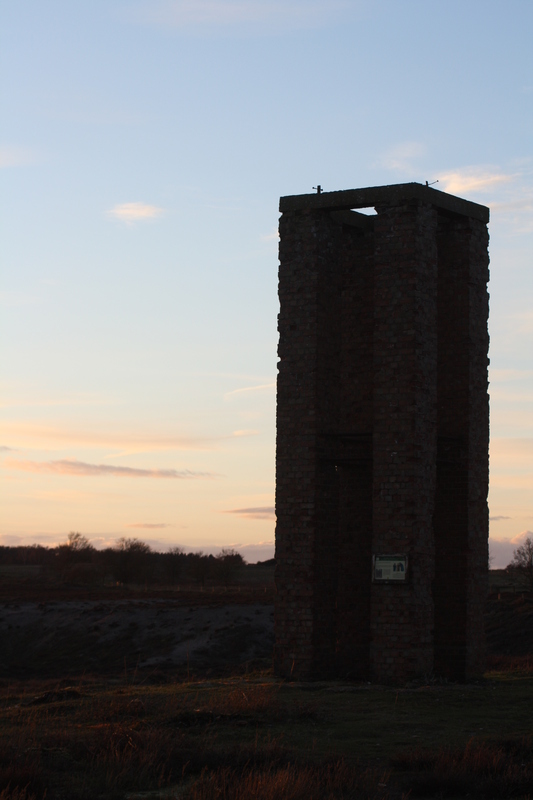 The World War II observation tower stands out in the setting sun. Watching us from the opposite side of a dip containing the tracks of former tram lines was a Roe deer and there were four or five more foraging on land closeby. We also caught sight of a kestrel hovering before dropping down out of sight to grab its supper. 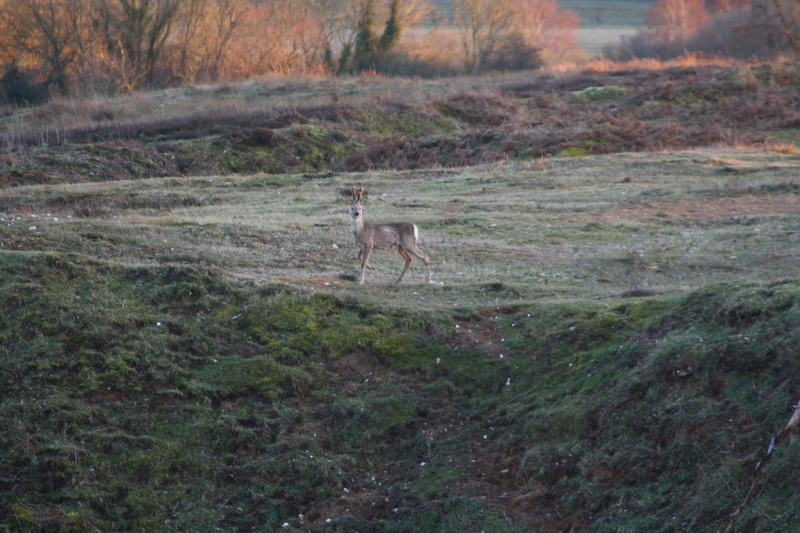 A Roe Deer buck watches us from the other side of the dip. From the Warren, we walked into The Delft, one of the latest pieces of land in this area to be acquired by Norfolk Wildlife Trust. Four years ago, this was a farmer’s field, but it was rather too wet for growing produce. Vicky explained to me how it had begun to change into a wetland as the Trust encouraged plants such as reeds. The pathway leading along The Delft. We ended our walk under a beautifully clear, starry sky. Orion was one of the constellations shining down on us. What a contrast to the earlier part of the day! Ours was the only car left in the carpark. Even today, there are still some places where you can find solitude and wildness and enjoy the sounds of nature. And yes, I might agree to accompany my daughter on this walk again! Vicky made a return visit to the Common, walking the same four-mile route a day or two later and said she had seen one lapwing flying over farmland near The Delft. On a subsequent visit, there were no sightings.